Since I was doing some heavy soul-searching and goal-writing, I decided to work on a project that needed very little thought but still would keep my hands busy. 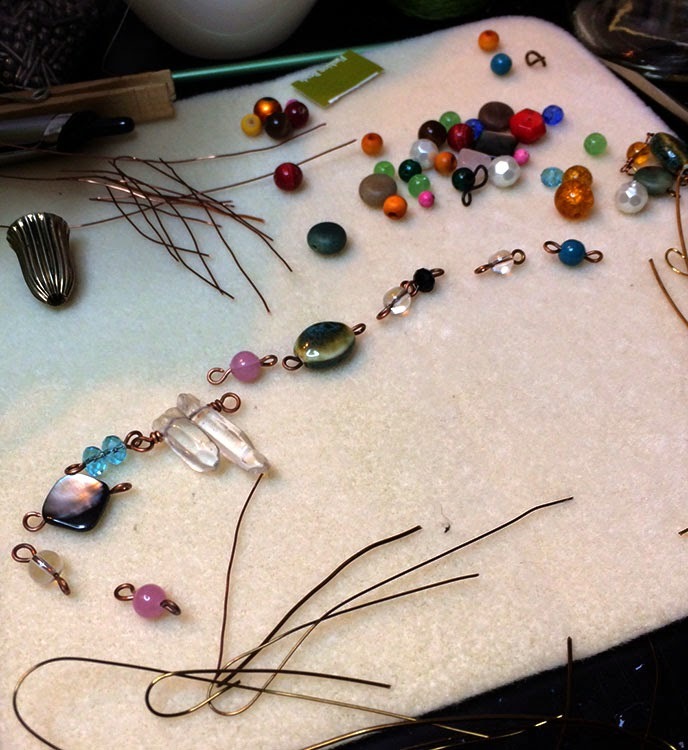 I collected a small assortment of beads and dumped out my leftover hoard of wire scraps onto my bead table. 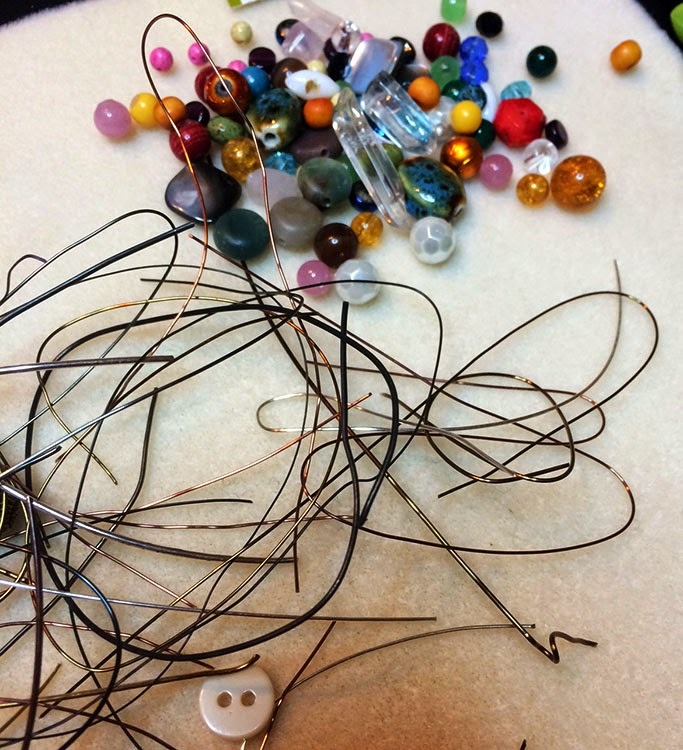 From there, I've just been attaching beads to other beads with wire via simple or wrapped loops to make beaded bracelets. I think these would work well alone or stacked together with other bracelets. So far, I've got quite the collection. This busy-hand method has left my mind free to brainstorm other projects and pursuits. So that's what's on my bead table today. What's on yours? 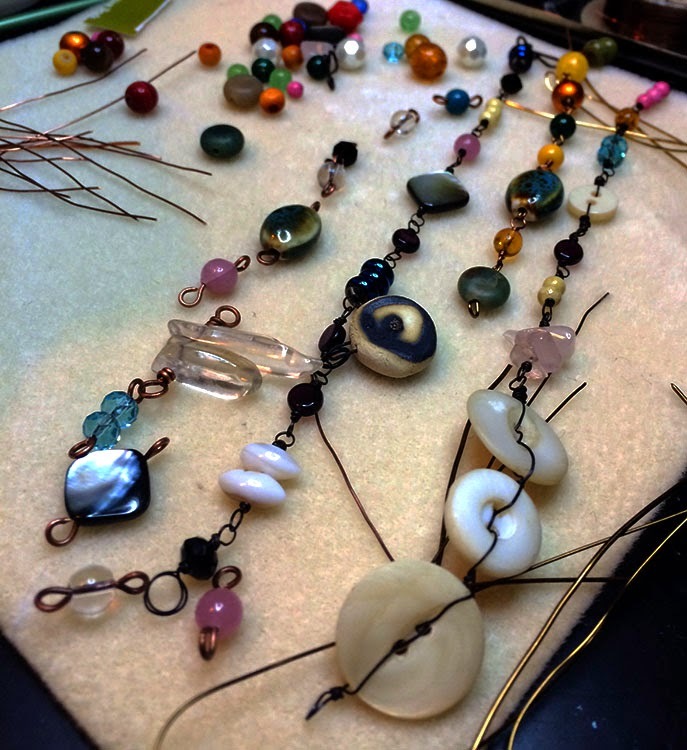 Bead Table Wednesday (BTW) is the brainchild of Heather of HumbleBeads, and you should see the beauty that's on her craft desk today! My bead table has a lamp and my vacuum on it if I remember correctly from watching them load the moving truck. I too have practiced my wire wrapping to busy my hands so I can free my mind. I have several short strands of linked bead chips in all sorts of wire finishes. Still haven't found a use for them, but I keep making them when I'm blocked at my table. I love the buttons. I've never tried that. Thanks for the inspiration Hope. Oh and how did the goal setting go? Well I hope.